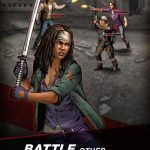 The Walking Dead: Road to Survival is Scopely’s super-popular Android and iOS title that’s based on The Walking Dead – both the graphic novels and the TV series, but mostly the former. 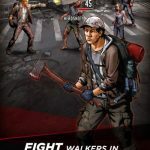 Reports suggest that the game may be updated soon to include storylines from Fear the Walking Dead, but the current game available on the Google Play Store and Apple App Store takes place in the town of Woodbury, Georgia. Your role is to lead a team of survivors against the Governor and a growing horde of zombies, though you also have to make sure Woodbury, as a town, runs like a well-oiled machine. Your choices may also have you taking the Governor’s side, which is definitely a distinct possibility. 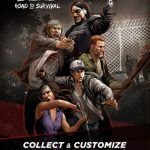 In the last few weeks we gave you a slew of The Walking Dead: Road to Survival strategy guides, but now we’re compiling all of the best The Walking Dead: Road to Survival tips and tricks and giving them to you in a one-stop, easy-to-read format. Let’s take you to those tips right now. 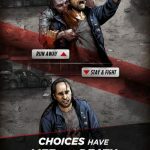 The Walking Dead: Road to Survival has an elemental system, which means one element beats another, but can lose to yet another one of these elements. Blue beats red, red beats green, green beats yellow, yellow beats blue. That’s a total of four traits for the elemental system, and all your survivors have them. Most zombies, however, don’t have any traits. In any game that includes city-building mechanics, you have to make sure your storage units are leveled up as high as possible. That too applies in The Walking Dead: Road to Survival. Your food and material storage units have to be upgraded as much as possible, and you can further ensure their full potential by upgrading your town hall as well. Food and materials, especially food, are required for training survivors and eventually leveling them up. When trying to increase your player level, you should always be paying close attention to your missions and achievements. You’ll get to unlock more stuff and earn more coins as you level yourself up in the game. In other words, save those materials and food items for a rainy day. If you don’t claim the items, other human-controlled players won’t be able to raid them. But if you do claim them, it’s pretty much open season on your rewards, as anyone who defeats you would be able to get those rewards from you. Head to the in-app store but don’t make a purchase – instead, hit one of the two buttons you see there so you can either watch an ad video or complete an offer. Now if you don’t have all the items required to upgrade one of your characters, check the upgrade menu and tap on the item you currently do not have. You’ll be directed to the levels where you can find those items, and in some cases, you may have to take one of the roadmap quests if you’re leveling up a rare character. When we say rare survivors, we are referring to those who have three, four, or five-star ratings, as opposed to the “common” ones who have just one or two stars to their name. We did tell you about how you can stock up on these survivors, and these ways include using your coins to recruit; we personally suggest this, and with that in mind, you’ll want to save up your coins so you’ll have enough to recruit some rares. By upgrading your training facility, you can get yourself some rare survivors eventually. Once the training grounds are at Level 11 and you’ve completed the necessary research, you can train three-star survivors at most. Reach Level 14 and do all the research needed and you can train four-star survivors, though in most cases you’ll still end up training three-stars. Another way to get more rare survivors is to level them up in the training grounds. That will require sacrificing some other survivors, and it’s the two-star survivors that are best to sacrifice. One-stars also work to this end, but compared to them, two-stars will give you a lot more experience points. Aside from prioritizing two-star survivors, you’ll also want to check their traits to see if they match those of the target for the leveling up. For example, you should prioritize rebels when trying to level up a rebel, so that way you get an XP bonus and the possibility of an instant upgrade. Specifically, the highest-level faction you’re able to find. These factions traditionally have four- or five-star leaders, and you can use them as helpers when battling the zombies. They could be real game-changers, so be sure you only pick the best faction available when choosing one. Want some great weapons to use in those boss battles? Upgrade your workshops on a regular basis and you may come up with items that could be the game-changing factor when you’re up against a boss. You can start spending your coins on other things once you’ve got several rare survivors on your team. Specifically, you’ll want to spend on weapons, as good weapons could drastically increase your team members’ stats, once equipped. The roadmap quests, as we mentioned earlier, are limited-edition quests. And you’ll want to be armed with weapons that increase critical hit, and bring survivors who have critical hit skills. That will greatly improve your chances of victory, as landing a critical hit on a walker, for instance, would be counted as a headshot, killing them immediately regardless of their stats. Lastly, we’re here to warn you about auto-battle, which is a great time-saver in most battles, but not in the roadmap quests and other tough encounters. As you may expect, there’s nothing special about the auto-aim feature in this game, and to be brutally honest, it’s awful – it aims at far-away zombies and not the ones closest to you. Do the fighting yourself if you’re up against a tough level.